Welcome back. How many of you are left- handed? Not many, I bet. Actually, I had no idea left-handers were so outnumbered before a recent study from Harvard got me started on the topic. 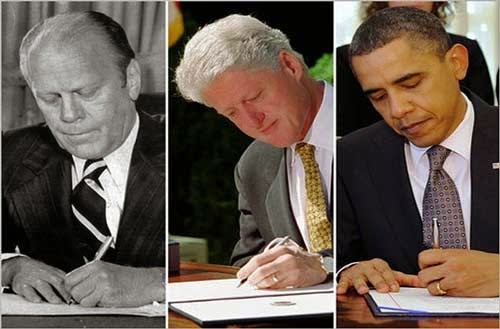 Put it this way; other than for baseball and knowing that 3 of the 4 last presidents were left-handed--4 of 5 if Reagan really was--I never paid much attention to who was left- or right-handed. And since any acquaintance I can recall being left-handed was sharp or creative and often in a supervisory position, I was surprised the Harvard study found most left-handers don’t do as well economically as right-handers. As for being in the minority, the count of left-handers depends on how strictly hand performance or preference is defined. The estimated percentage of the world’s population that’s left-handed ranges from about 7% to 30%. The most commonly cited figure is 10%. 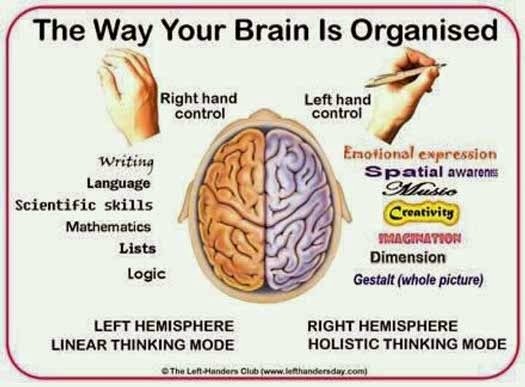 The source of left-handedness appears to be related to brain structure, given that the left and right brain hemispheres control opposite sides of the body. The origins are thought to be genetic as well as environmental, the latter including stress during pregnancy or subsequent trauma. To analyze the economic impact of left-handedness, the Harvard researcher compared academic achievement and income for left- and right-handers using five datasets from the U.S. and the United Kingdom. Overall, the data show that left-handers have slightly higher rates of mental and behavioral disabilities, complete less schooling, and more commonly work in lower cognitive skill and higher manually intensive occupations. Most striking, left-handers have 10% to 12% lower annual earnings, some of which can be explained by differences in cognitive skills and behavioral problems. The Harvard study found fault with the sample and treatment of data in two oft-cited working papers from 2006, both published in 2007. One, a U.S. study from Lafayette College and Johns Hopkins University, found the only difference in earnings was that college educated left-handers did better--not worse--than their right-hand counterparts; the other, a U.K. study from the University College Dublin and University of Warwick, found earnings were 5% higher for left-handed males and 5% lower for left-handed females. After learning that left-handers had a history of being stigmatized and must still contend with a right-handed world, I was glad to find repeated mention that left-handers have higher abilities in creativity, the arts, divergent thinking and measures of intelligence, such as college SAT exams. Well, along with challenging earlier work on earnings, the Harvard researcher also pointed out weaknesses in the studies that led to those claims of higher abilities--selection bias, small sample size and mixed results; all of which had been questioned in other studies. Instead, the clearest evidence is for generally lower cognitive ability. Since claims for higher abilities are often associated with brain lateralization, I should mention that neuroscience and studies of the topic do not support the popular notion that creativity and other processes are distinctly attributable to one or the other brain hemisphere. Based on my very small sample of left-handers, I was expecting different results. Still, no one can one deny the achievements of such notable left-handers as Michelangelo, Leonardo da Vinci, Benjamin Franklin and Henry Ford; Bach and Rachmaninoff to Jimi Hendrix and Paul McCartney; many actors and celebrities, including Oprah; athletes, not only in baseball; and even Alexander the Great and Napoleon. But if that’s not enough, we right-handers should be a bit envious that we don’t get to celebrate International Left-Handers Day, held on 13 August since 1992. Thanks for stopping by.